It is rare to find an illness which affects only one organ of the body and has no effect on other organs or tissues. If one organ is not functioning well (due to an illness, infection, or injury), many other organs often will need to work harder in order to keep the body's functions working. In health, the body has some tolerance to handle a wide variety problems that arise in its biologic systems. This is called the body's physiologic reserve. During an illness, the body's physiologic reserve is gradually diminished. If the illness continues, this energy reserve will further diminish over time. In the case of a prolonged, serious, or critical illness, there may come a time when the physiologic reserve is no longer enough to keep the body's basic functions working. This causes complications relating to failure of multiple organs and systems. Sometimes, the medications which are used to treat one organ may cause side-effects in other organs, leading to difficult medical questions for the patient's treatment. In many cases of this nature, a patient's condition is chronic at some level over many years, and occasionally becomes acute. For acute care, patients should go to the hospital emergency room for prompt evaluation and management. During the chronic period of illness, the condition may come and go periodically or it may worsen over the course of weeks, months or years. Due to the complex nature of these conditions, patients will typically see several types of specialists. 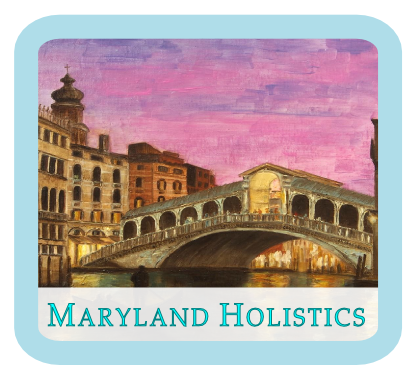 Maryland Holistics provides a very high level of care in the field of acupuncture and natural medicine. Our techniques can be helpful for patients experiencing certain illnesses which affect multiple organs or systems. These illnesses include endocrine tumors, cystic fibrosis, congestive heart failure, lupus nephropathy, multiple sclerosis, langerhans cell histiocytosis, diabetes, and other conditions. Our treatments are effective in the sense that patients often observe reduced symptoms and increased comfort. The acupuncture and nutritional support that we provide do not rely on pharmaceuticals and generally have no side-effects or drug interactions. This is a very important point because it means that our treatments can be provided alongside other medical care. In serving clients with these conditions, our treatment goals will depend on the specific nature of the condition and the health status of the patient. In general, our goal is to assist the body to function more efficiently, so that the remaining physiologic reserve can help a patient maintain a greater level of health for a longer period of time. For patients awaiting certain medical procedures, such as transplant of a liver or kidney, even a minor or temporary reduction in symptoms may assist the patient to remain healthy enough to have the operation. Our care can often enable an individual to experience more comfort and less suffering when little else seems to be helping. Due to the wide range of medical conditions that exist, patients with these medical concerns (or their family members) are encouraged to call before making an appointment, to make sure that we can accommodate the specific needs of your care, including any special needs regarding scheduling.